"My heartfelt condolences goes out to all of the Haag..."
"So sorry to hear about your loss." "I enjoyed knowing Bob and sharing breakfast with him in..."
"So sorry for your loss. May loving memories comfort you in..."
"So sorry for your loss Chad. Prayers be with you." 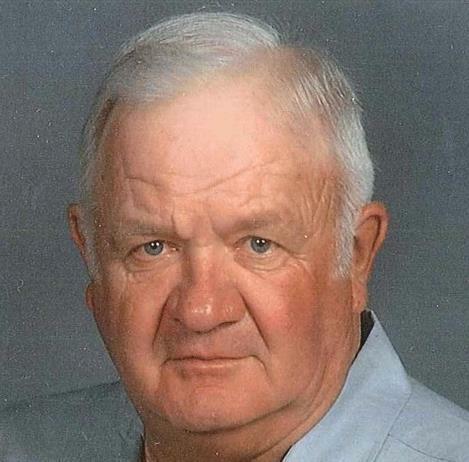 Robert E. Haag, 82 of Topeka, passed away Friday, April 13, 2018. He was born March 14, 1936, in Olpe, Kansas, the son of Nick and Evelyn Haag. Robert married Delores Nicklaus on October 11, 1958. They have resided in Topeka since 1970. In 1985 Robert began R&H Concrete, Inc. Three years later his two sons joined him in the business. The business is located in Lawrence. Due to poor health Robert retired and Randy and Ron are continuing the business. Robert is survived by his wife of 60 years, Delores, his three sons, Richard (Robbie) Haag, Randall (Lisa) Haag, and Ronald (Robin) Haag; five grandchildren, Chad (Jessica) of Kansas City; Dakota, Clay, Tira and Cassidy all of Topeka; great-granddaughter, Ellen, Kansas City; two sisters, Deaun of Horse Bend, AK; Lavern (Bill) of Irving, TX; his brother Jerry (Sylvia) of Olpe and many nieces and nephews. He was preceded in death by his parents and two brothers, Denny and Bill Haag. Private graveside services will be held at Grantville Cemetery. A celebration of Robert's life will be held at Parker-Price Cremations, Funerals & Receptions and will be announced at a later date. Memorial contributions may be made to Helping Hands Humane Society. To leave a message for the family online, please visit www.ParkerPriceFH.com.